It's the latest typically bizarre political scandal to emerge from our own unique corner of the world. 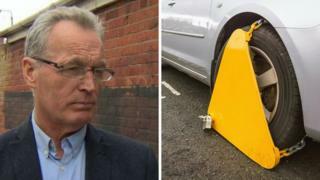 Sinn Féin's Gerry Kelly, fresh from his morning gym routine, taking a heavy-duty pair of bolt cutters to a wheel clamp after getting stung by parking enforcers. For the police, it's an investigation. For politicians, it's a talking point. But, for many others, it's a chance to create jokey social media memes. Amateur photo editors, pun lords and aspiring comedy Tweeters have been lining up this weekend to add their cutting (boom-tish) wit to online clamp banter. So let's cut the chains of this preamble and get stuck into what's been doing the rounds on social media. We start with serial satirists LAD, who look at stories like this the same way a starving man would eye up a chip shop menu. No surprise that they've been piling their plate high with clamp material - and even managed to shoehorn in a Game of Thrones reference. 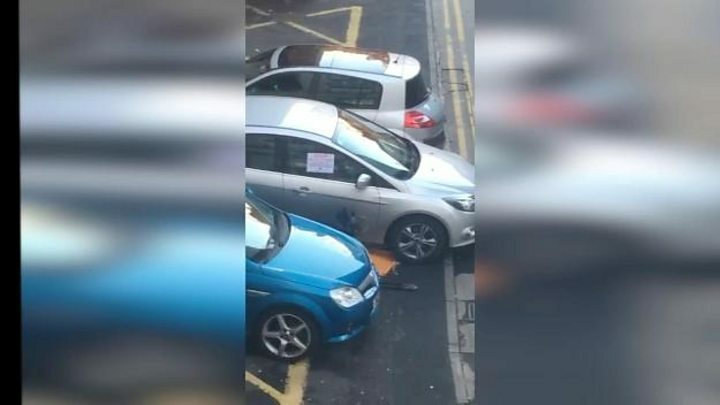 Don't think Daenerys Targaryen ever did have to deal with people trying to clamp her dragons. LAD also used their editing skills to resurrect a ghost of Gerry Kelly's electoral campaigning past. In 2015, Mr Kelly and Sinn Féin published a campaigning video that featured the MLA asking a Star Wars stormtrooper for his vote - but the newly-edited video features the stormtrooper asking for a clamp-freeing favour this time around. Elsewhere, comedian Jake O'Kane got in on the act with a reminder of a daily checklist. 4.Gym timetable - as not working. Others took their comedy cues from the world of entertainment, with one popular effort portraying Gerry Kelly and his party colleagues as part of Gerry and the Bolt Cutters (a popular beat combo, no doubt). Sinn Féin's political history was also fuel for the spoofing fire. The republican strategy in the 1980s, of having "a ballot paper in one hand and the Armalite in the other" received a timely update reflecting the importance of bolt cutters. And you may have heard about the men behind the wire, but how about "the man behind the tyre"? But, it's worth bearing in mind, given the severity of the situation, that innocent individuals can be caught up the furore. Thankfully, one social media user is on hand to remind us all that BBC Radio Ulster presenter Gerry Kelly plays no part in Clampgate.